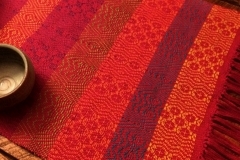 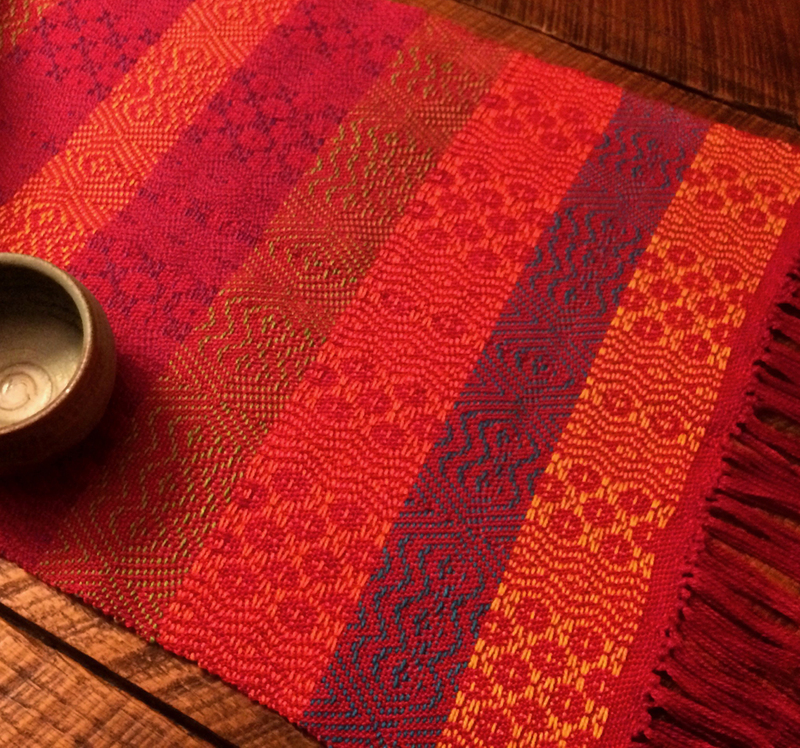 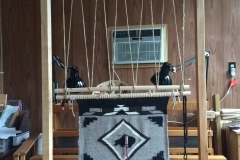 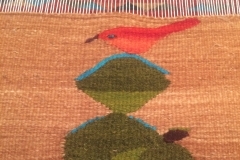 During the last two years I have been on a weaving journey. 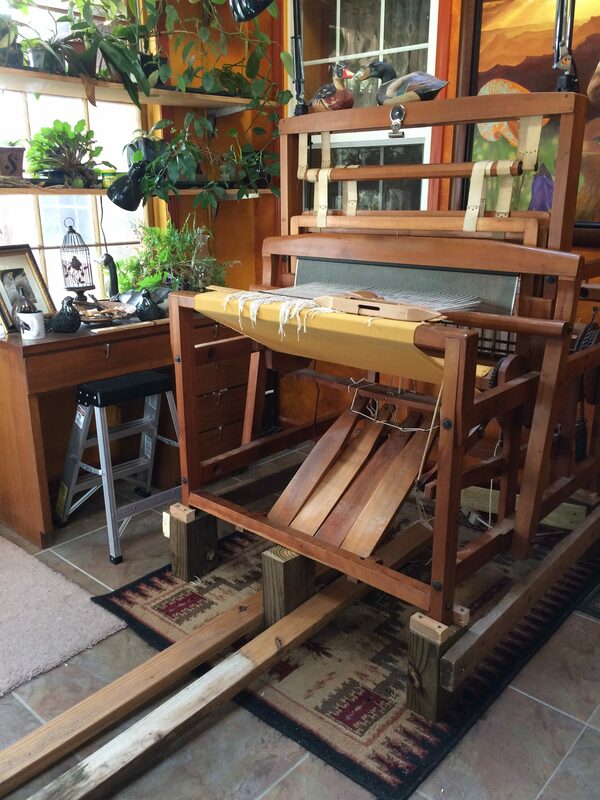 My use of looms vary from a 4-harness counter-balance to an 8-harness jack loom for traditional weaving. 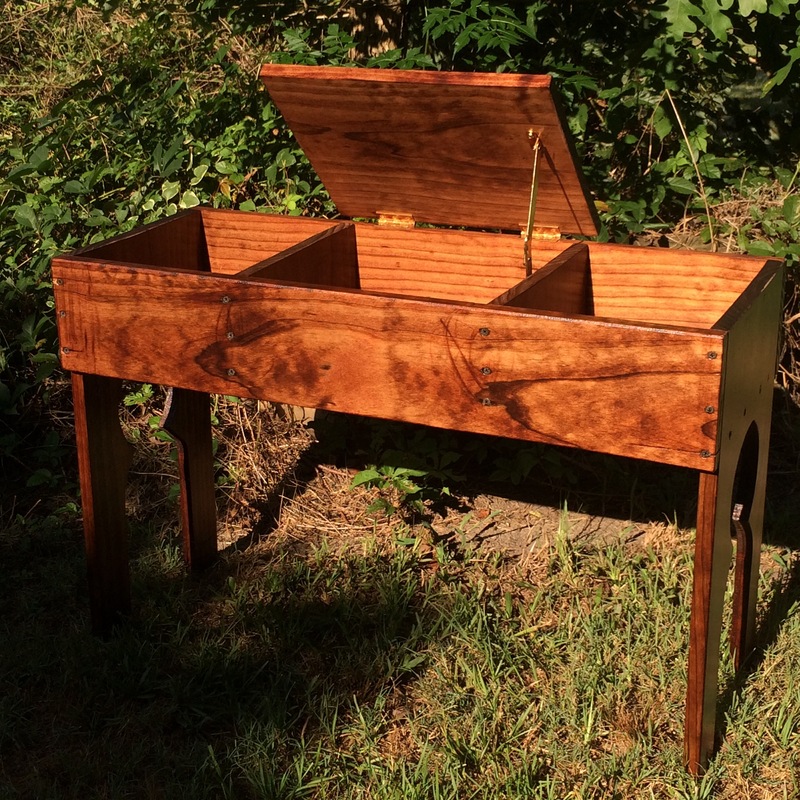 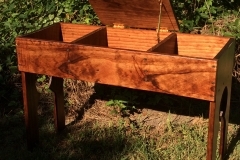 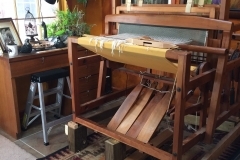 For these looms I built two weaving benches. 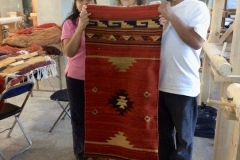 I use a hand built walking loom from Oaxaca, Mexico for rugs using a technique learned in Teotitlan, Mexico by the Zapatec culture. 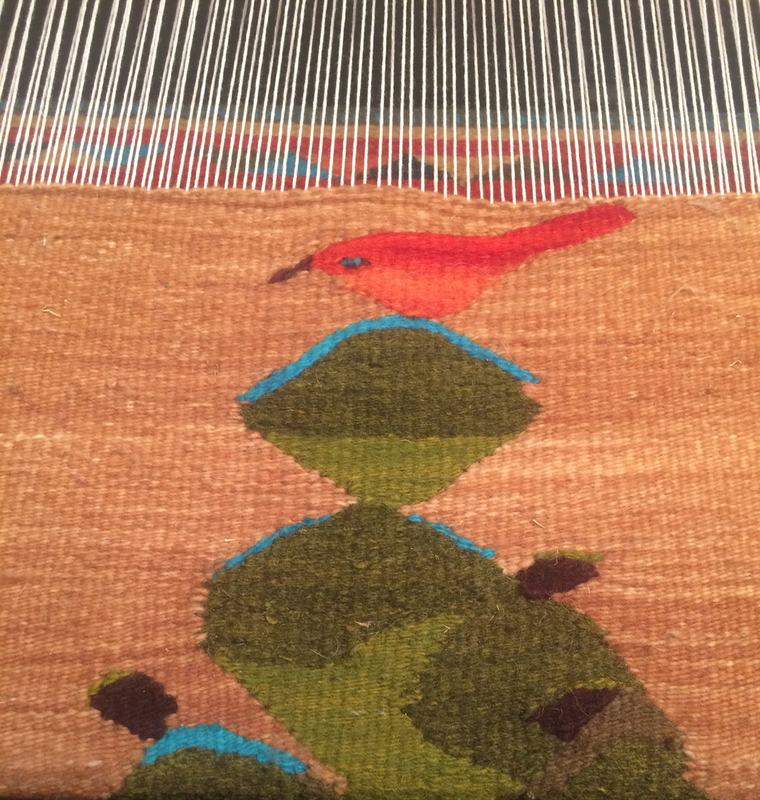 My Navajo looms are used to produce rugs that are more geometric in design but with significant symbolism, reflective of the Navajo culture. 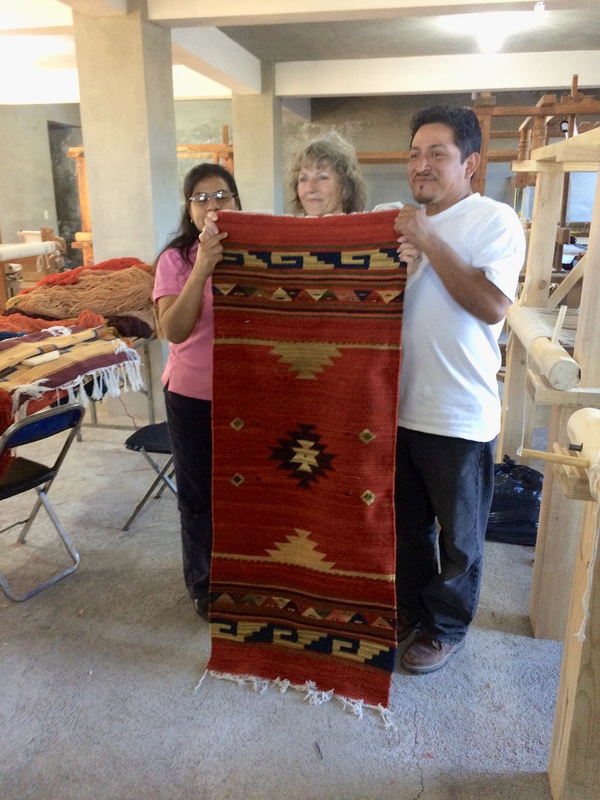 Each year I travel to the Navajo reservation to learn more weaving techniques from two Diné weavers. 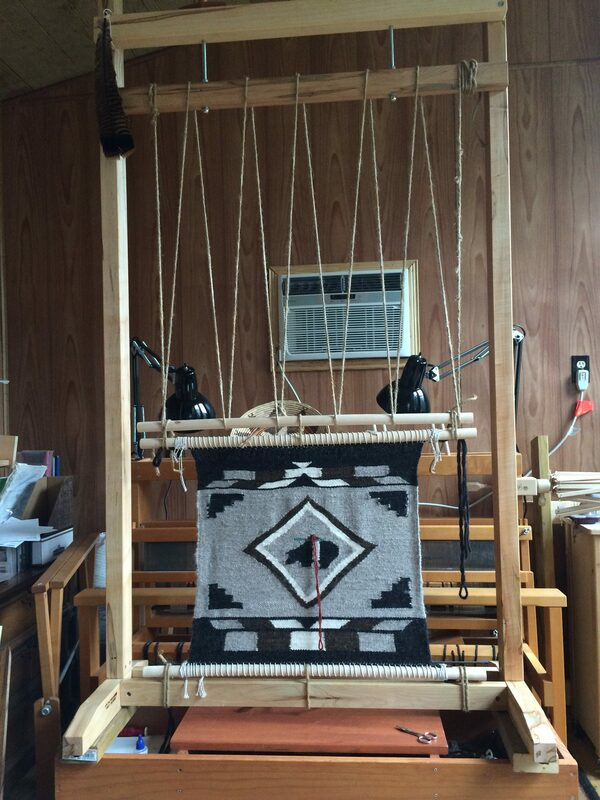 My ultimate dream is to one day weave at the base of Spider Rock that is located in Canyon de Chelly.